But this year with the help of Me to We, I've already found the perfect stocking stuffer ideas for everyone in the family. Me to We is a social enterprise - meaning it's a business that sells products, but your purchases will have a positive impact in communities around the world. Your shopping could provide access to education, clean water, fair wages and more! As well, much of the income generated through Me to We is funneled back into the WE Charity, a non-profit that partners with communities to alleviate poverty. This bracelet comes in all different colours, but I LOVE the teal!! Kids absolutely adore these Rafiki bracelets, and I love how you can "track your impact" to see how your bracelet is making a difference. 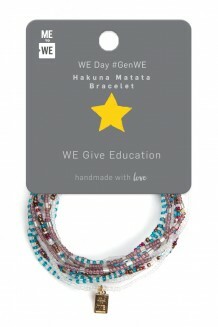 I really loved seeing the Kenyan Boys Choir sing Hakuna Matata at last year's WE day here in Ottawa, and kids will get a kick out of this Hakuma Matata bracelet! For the coffee lover in your house - I've had a chance to sample this Ecuadorian coffee and it has such a rich and smooth taste!! There's gotta be a little something sweet in your child's stocking, and the dark or milk chocolate bars (made from chocolate grown in Ecuador) are fantastic!! If you don't want to shop online, check your local Mastermind Toys store - I spotted them at the cash the other day! 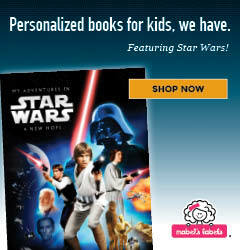 Disclaimer: Kids in the Capital is a WE Family Ambassador, and we were provided several products to sample from the gift catalogue. All opinions are our own.